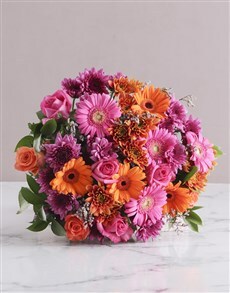 NetFlorist is the largest gifting service and flower shop in the country, and of the endless blossoms of flower bouquets that we delicately arrange, lily bouquets are the most elegant and delightfully rewarding to prepare and to gift. Either grown in a gorgeous flower garden or intricately picked and arranged in a flower shop, lily bouquets are an exquisite gift that will send a sensation of upliftment through a loved one’s soul. 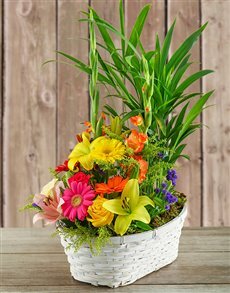 A fragrant and delightfully fragrance lily bouquet, usually perfect for ‘Good luck’ occasions, or most commonly, as a gratitude gift. Derived from the Greek word for beauty, the arum lily signifies magnificence and beauty. 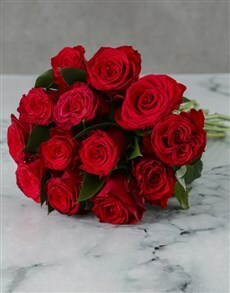 The arum lily bouquet is ideal for Valentine’s Day as it sets the gift apart from just a simple flower bouquet such as a red rose, as well as a great gift for a close friend. The most perfect lily bouquet is one filled with a variety of lilies, each with their distinct beauty and fragrance, perfectly arranged to form something that your loved one will simply adore. 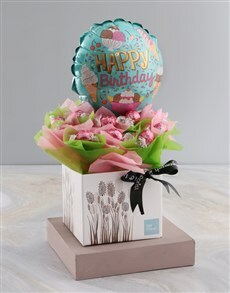 NetFlorist prepares it for a variety of occasions as it symbolises a diverse set of values and messages. 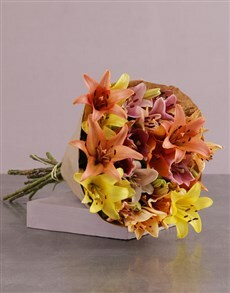 With their light and fragrant perfume, a mixed lily bouquet is an arrangement of pure majesty, truth and honour. 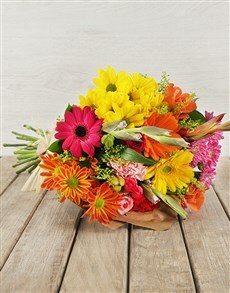 If you are looking to gift with a lovely flower bouquet, lilies are a wonderful alternative to your search for a “florist near me” and if you are in love or just in luck of life, send a flower bouquet of lilies to express it.